OnePlus has cleared the air over the price point and availability of its first 5G smartphone. The vendor has already announced that it’s developing a handset that will work with 5G networks to offer blazing connectivity speed. Now, in an interview with CNET, CEO Pete Lau has shared that the OnePlus 5G smartphone is going to be priced $200 to $300 (~ Rs 15,000 to Rs 20,000) more than OnePlus 6T (review) and will see the light of day by the end of May 2019. He also said that the device isn’t expected “to equate huge sales.” The brand is, nonetheless, to stay at the forefront of the tech industry. 5G networks will roll out in 2019 in the US and South Korea, but OnePlus has already made it clear that its 5G phone will be the first in Europe to employ Qualcomm’s latest Snapdragon 855 chipset. The OEM will offer the handset via UK’s carrier EE before making the device available through other cellular networks around the world. “It’s still early stage. But by 2020 it could already be very different,” Lau said. “With a focus on being one of the first companies to deliver a 5G phone, our engineers and product development team can receive an early start on how to best develop a premium 5G phone without compromising on design and user experience,” Lau said. For those unaware, the OnePlus 5G phone won’t be called the OnePlus 7 and will not be the successor to the OnePlus 6T. The company has previously revealed that the handset will come with a new lineup altogether and sport a new design. This will be only the second time that OnePlus has created a second lineup for its offerings, following the OnePlus X in 2015. The specifications of the upcoming handsets are not known at the moment, but our wild guess says that it’ll come with 10GB of RAM and 256GB/ 512GB internal storage. 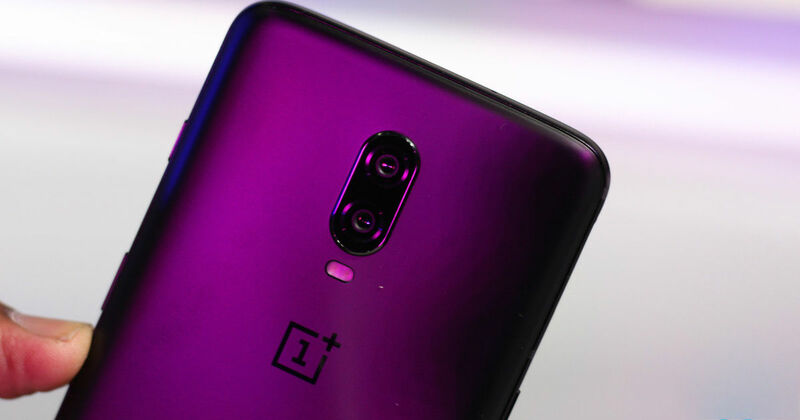 Other features such as camera, battery, and software are expected to be the same as the unannounced 4G LTE variant of OnePlus 7.